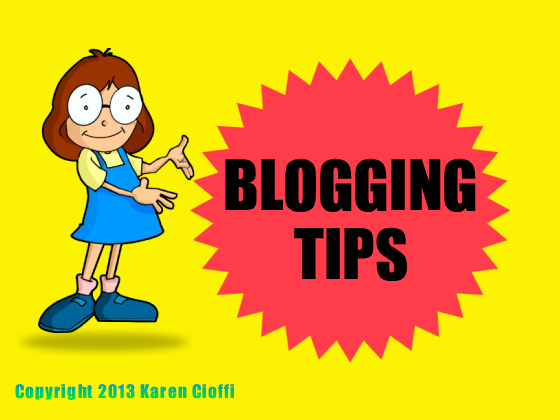 Writing and Marketing: What is Blogging Commenting Etiquette? Within the last week, I've realize marketers who use blogging sites or blogs on websites to leave self-promotion comments are creating an air of suspicion. On another of my sites, as with probably most of you who have websites, I have to go over hundreds of spams to see if I have a valid comment; it's annoying and time consuming. And, some of those who actually comment on the post have links back to product sites, affiliate sites...is this crossing a line? While I use Akismet, I still have to skim over all the spams to find the valid ones. I know this is a marketing strategy, but when it is too much? Is it ever too much if the commenter is leaving a valid comment pertinent to the post? So, now I'm wondering, what is the etiquette to blogging commenting. How do you know when a comment is slightly above spam? How many urls and promotional sentences in a signature are okay, and when is it crossing some overt self-promotion line? I actually had this discussion a couple of months ago in a group I belong to and it was evident that most in the group thought that leaving more than one url was too much. There were also a few who thought leaving any url in the signature was inappropriate. I don't see the harm in leaving a url with your name as long as your comment is pertinent to the post. We're all promoting something (at least most of us are). I do think that in some cases it might be rude or inappropriate though, say if your product or site is in competition with the blogger's site you're commenting on. I'll admit, I don't have the answers; I go with the one url with your name, although I don't usually include a url in my signature when commenting on someone else's blog. And, if my name is in the tag line above my comment, I don't leave a signature. Now, is that in itself rude? Would we have written letters years ago and not signed our names? So, I pose the question: What is blogging commenting etiquette? Karen, if I don't know them and they're promoting something I feel is inappropriate or really unrelated, the for me it's spam. Otherwise, it isn't. If the comment isn't attached to an appropriate post, then it's spam. Yes, yes, I know, it's the old "I know it when I see it," but that's how I do it. If I know them, then it's not spam. I always leave my name underneath my comment. This way people will see my name twice. Nothing wrong with that as visiting other blogs, reading them, and leaving a comment is one way of networking and getting myname (and face) out there for others to see and hopefully decide to visit my blog. Its a win-win situation as the host blogger receives comments, and its a good thing to have lots of comments. I do not leave my URL as other commenters can always click my picture next to my comment to go to my blog. But it does not bother me when someone leaves their URL, as long as they leave only one. I am not sure of etiquette other than I will leave a comment pertaining to the subject. I don't think it is a bad idea to leave a weblinkif it is pertaining to the subject matter and comment. I think all comments should be appropriate to the post and URL should be limited to one. Promoting afiliates should be done on your own blog and not as part of your comment on someone elses. That seems intrusive to me and over the line of proper. Just my thoughts. Wow, you All, thanks so much for your input. It's becoming such a fine line that I've been questioning myself over it. So far it seems unanimous - one link should be the limit. I agree that having your name twice is a GOOD thing, Stephen. And, I agree with Terri that affiliate marketing should be limited to their own sites. I notice I'm getting more affiliate marketing links with comments. Peggy, that seems to be a good rule of thumb to use. And, Kristi, that seems to be the general opinion so far. I'm looking forward to seeing what others have to say. I don't think there's anything wrong with including a link to one's own site in a signature line. It's all about exposure, getting your name out there, and like Stephen said, it's win-win b/c the blogger gets comments. I visited a blog that said some rude things about people who leave links – I didn’t bother to leave a comment and never went back to it. I also was once accused of spamming by another commenter on a blog for simply signing my name (which could be clicked on to reach my blog). I never visited that blog again either. Now I don’t sign my name or leave a link, simply because it’s easier and I don’t have to worry about offending someone. However, I have no problem with people leaving a link in their comments on my blog. In fact, I like it. I try to visit the blogs of people who leave me comments and having a link saves a step in trying to find them. The comments that consist only of links or ones that have nothing to do with the post, I delete. A link to one's one webpage in the signature line is acceptable so long as the comment left is actually a valid comment, and not just a rote 'great job' or whatever that means nothing and gives the original blogger no feedback of worth. The ones that irritate me are the ones who post their 'ads' and nothing else. That is just rude. And I would NEVER follow one of those links out of sheer principle. Hi Karen. I think it's fine to write a website link on the signature of a comment. (I don't usually do it) I like to see who's commenting on my site and often go to their site to learn more about them. Hi, Jessi, Jane, Eldheni, and Kathy. It again seems the same, leaving a signature and one url to their OWN website is fine. And, it's true, having the one link to the commenter's site is helpful. It's when it leads to a "pure" promo landing page (affiliate or other)that is very annoying. Thank you all so much for your input. I'm beginning to feel more comfortable about my own views. Karen, I'm with the majority: name and one link to commentator's blog or site. Hey, Vivian, Thanks for stopping by. That's me...I always forget to put my name yet alone a link. Karen, I think you're right - most of us have something to promote. I know that I do, but I consider it bad taste to include that within my comment. I feel a comment should focus on the article or blog entry and not on the commenter. Let's be honest here. The main reason we comment on other people's blogs is to help our own careers. I've never added my name or links, but after reading this I'll probably do it. I've always hoped when I left comments on other people's blogs they'd return the favor, but most don't, and maybe adding my link would make it easier for them to do that. I feel like the majority of others, my name and a link is enough. I don't always leave a link to my site because people can just click on my name to find my blogs; but someone pointed out to me that it is just one more click the person has to make. I guess I understand that, but I enjoy commenting about things that interest me. I don't only comment to promote myself. If I feel I have something useful to say or if I can relate to the post, I usually comment. Great topic. Thanks for posting it. I'm apparently in the minority, but I not only don't mind people leaving as many links as they like after comments, but I actually like that. Following signature links has led me to some interesting, helpful, and just plain fun sites! If you don't like it, don't click on the links. On the other hand, I do agree that just leaving links with no comments, or comments flimsily disguised as just a way to leave a link, is spam, and I hate that. Almost all of us who are writers have something to promote, and these days, almost everyone else does as well. I think it's fine to leave as many links after your signature as you want. Katie, Janet, Cheryl, Alina, and Mayra, thanks so much for taking the time to comment. I'm with the majority here for the reason that with the one link, it should lead the reader back to a site that offers the commenter's information and other sites. This is a great point that I haven't done yet. I will be creating a link roll on my sites specifically to link to my other sites. I guess this is why the say two or more heads are better than one! I'm testing out my hyperlink now! Okay, that didn't work and I can't seem to get it to work. Time to investigate. I'm another one with the majority. I read other people's blogs because they're interesting, or because they're friends. One link is great, but lots of span is a pain! It is hard sometimes to figure this out. I think one or two URLs in the signature line are okay along with a name. Interesting blog post. First, I agree that if the comment is not on the blog subject that is rude and spam. As to signatures. As a blogger commenter I used to include my name but not a url as the info could be obtained from the profile link with my avatar. Now that I have a company to promote I also have to decide whether to comment as blogger or business person. Lots of times it is just which e-mail I'm in that controls that! I prefer one url too. Although sometimes it is hard to decide whether to do the website or blog URL. I know that some people say it's spamming to leave ANY URl with your comment. But I don't agree with that as long as the comment isn't just some meaningless comment obviously posted ONLY for the opportunity to post a URL. Actually, I love reading comments at other people's sites and I'll often click on a URL I see in the comment if that person's comment is interesting and insightful. I don't add urls to my comments. I figure if someone wishes to find me, they will click on my name and find my blog. From there they can find many directions to find me and my work. Thanks all for stopping by and sharing your thoughts. I also read blogs I find interesting and informative. From this small sample it seems one url with a name is the way to go. And, Cher, I agree. Anyone interested in finding you can click on your name tag. I actually added my urls to my profile for that reason. But, with the one hyperlink in your signature it does make it a little easier. This has been a very interesting post as have all the comments. I think leaving your name and one URL is fine. I've not done either myself in a blog reply because I always wondered what others thought about it, so I'd like to say thank you to Karen for bringing up this subject. Just thought I'd jump in and agree with the one url rule. Referring to your own book, website, blog, or product within the comment is okay if it has some direct connection to the blog post--but you can only stretch that so far. Blog comments are a place for discussing blog content. They are not a place to say, "Forget this blog and pay attention to me instead!" Cher, I don't like controversy either and seem to have gotten into some over an early post - it had to do with commenting signatures. So I thought it'd be a good idea to get some opinions. Thanks Suzanne for joining in. I appreciate your input. Melissa, very well put. "Blog comments are a place for discussing blog content." Thanks, again to everyone who voiced their opinion!